A sweet vanilla flavored white dry snus with ultra strong nicotine content. 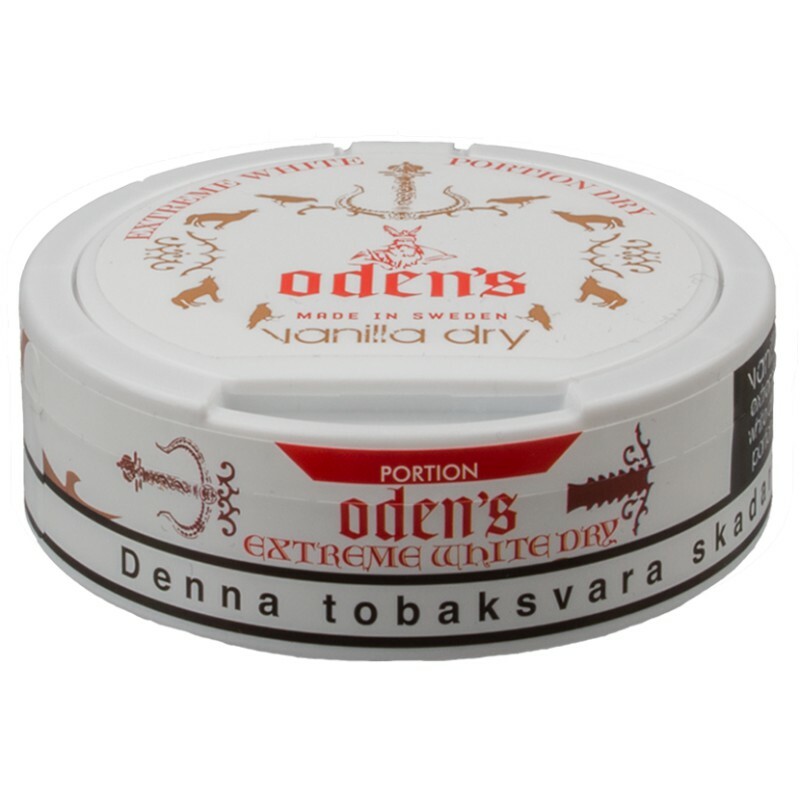 Oden's Extreme Vanilla is a really strong and tobacco flavored snus with a tasty flavor of natural vanilla which leaves you with a sweet tasting flavor. White dry portions so the flavor will last and drip less during the snusing experience.